Established in 1993, the Million Dollar Advocates Forum (which includes the Multi-Million Dollar Advocates Forum) is one of the most prestigious groups of trial lawyers in the United States. Membership is limited to attorneys who have won million and multi-million dollar verdicts and settlements. There are over 4000 members throughout the country. Fewer than 1% of U.S. lawyers are members. The quality of membership is very impressive and includes many of the top trial lawyers in the country. Many members have achieved numerous million and multi-million dollar results. The common fact is that they have each demonstrated, in an objective and tangible way, their ability to accomplish superior results in complex cases. Managing Partner Stephen Cody is a member of this prestigious group and heads up The Cody Law Firm’s personal injury practice which has been representing victims of personal injury for over 30 years. The large firms you see on television rely on high volume of clients and are not able to give the one on one attention that Cody & Pfursich provides. 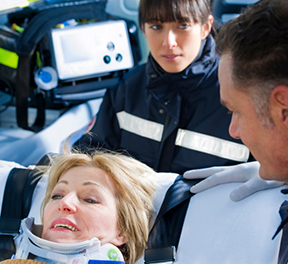 When you come to us for your personal injury case, you will be treated like a person, not a number. This specialized attention to each of our clients has helped us win millions of dollars in compensation.